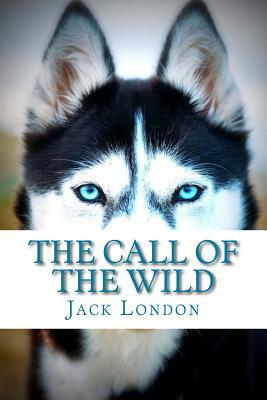 The Call of the Wild is a novel by American writer Jack London. The plot concerns a previously domesticated and even somewhat pampered dog named Buck, whose primordial instincts return after a series of events finds him serving as a sled dog in the treacherous, frigid Yukon during the days of the 19th century Klondike Gold Rushes. Published in 1903, The Call of the Wild is one of London's most-read books, and it is generally considered one of his best. Because the protagonist is a dog, it is sometimes classified as a juvenile novel, suitable for children, but it is dark in tone and contains numerous scenes of cruelty and violence. London followed the book in 1906 with White Fang, a companion novel with many similar plot elements and themes as The Call of the Wild, although following a mirror image plot in which a wild wolf becomes civilized by a mining expert from San Francisco named Weedon Scott.